New Delhi: “There are over 150,000 people in Delhi involved in recycling through collection and segregation of waste who help in waste management by recycling 20 – 25 per cent of the waste in urban cities. 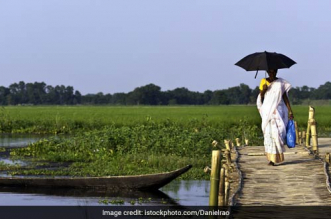 Furthermore, they save 3.6 times more greenhouse gases than any project in India,” said a spokesperson from Safai Sena explaining why waste handlers are the epitome of a Swachh Bharat. Safai Sena is a registered group of over 12,000 waste pickers, doorstep waste collectors, junk dealers, and other types of recyclers. The Safai Sena is demanding political parties to take into account the services of 2 million waste pickers, who are an integral part of solid waste management. 1. Safai Sena calls for recognition of waste pickers in the national capital and demands upgradation of their skills and working conditions in order to ensure that the waste they are currently handling can be recycled in tandem with the changing landscape of Delhi. Workshops on legal compliance and up to 6 months of support by Delhi Pollution Control Committee to meet the pollution norms in Delhi. All the units should be trained on safety and occupational health. 2. 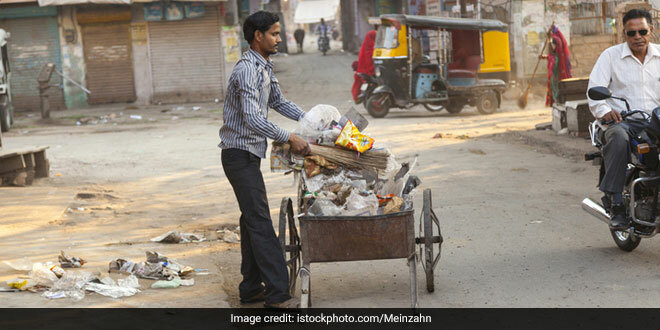 The Safai Sena demands that all civic bodies in Delhi empanel as many organisations that work with waste-pickers in their jurisdiction and all doorstep waste collection should be allocated to waste pickers or their organisations only. They also want the recyclable dry waste to be kept by the waste pickers or their organisations. 3. The door-to-door waste collectors should be provided space for segregation and storing in the Material Recovery Facilities (MRF). 4. All waste pickers to be given occupational cards instead of identity cards to enable them to be treated as legitimate actors in solid waste. Waste pickers are also demanding to be provided Below Poverty Line (BLP) cards, ration cards, pension, Aadhar cards, accident, life and health insurance and other social security schemes available for them even if they don’t have valid address proof. They are also asking for bank accounts under Jan Dhan Yojna, along with ATM cards for easy withdrawal. 5. Training in first aid, occupational health, and safety, segregation, composting with practical safety equipment such as dual gloves, thick-soled slippers for summers and shoes for winter with zero powered eyeglasses, are also demanded by the Safai Sena. The Safai Sena claims that 95 per cent of the recycling in Delhi is being done informally by waste pickers. 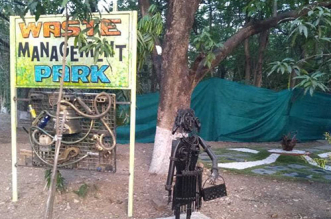 They further assert that including waste pickers in waste management systems in Delhi will not only let the city comply with established rules and policies, it will also ensure stable, safe and secure livelihoods of a large section of the urban poor, thus securing their trust in and support for the municipal government.